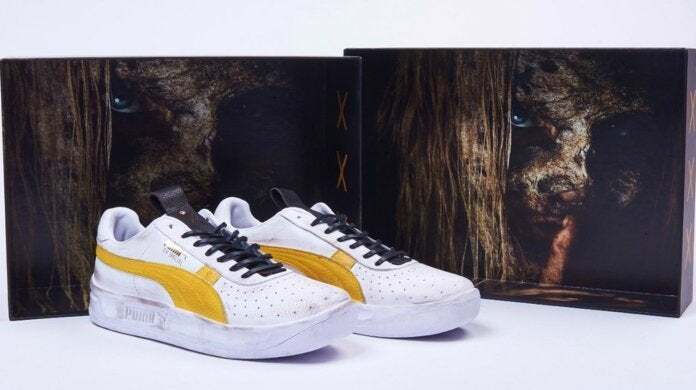 The Walking Dead x Puma sneakers are expected to drop right here for $200 starting at 10am EST (7am PST) today, March 25th. Odds are they won't be available for long, so grab a pair in your size while you can. The TWD Whisperers sneakers are a Foot Locker exclusive, so if they sell out, your best bet is to head on over to eBay for the inevitable resales. Below you'll find additional details for the sneakers along with a trailer AMC dropped on Instagram last night just ahead of the shocking events of "The Calm Before". The sneaker is a modifed GB Special with a dirty and distressed post-apocalyptic vibe, but the standout feature can be found on the soles. 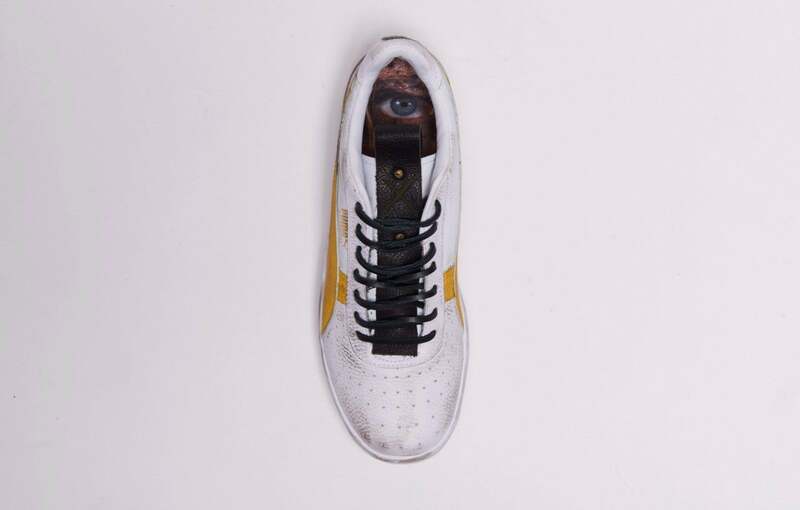 If you look inside the shoe, you'll find an image of Samantha Morten's Alpha staring back at you. The box also features The Walking Dead Alpha imagery. "When I got the call about the project I knew the storyline of the Whisperers was going to play a very important role in how I brought this shoe to life. I love the simplicity of the concept and how the Whisperers hide in plain sight,” Alexander-John said in a statement. “I’ve done many product collaborations with Foot Locker over the years and this one is right up there with my all-time favorites. I hope these PUMA shoes take the show’s fans even deeper into the world of The Walking Dead." The Walking Dead next airs its Season Nine finale Sunday, March 31 at 9/8c on AMC.